"These are teacher gifts! 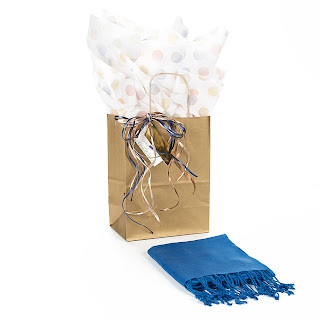 We're offering our lovely pashmina shawls in a package with a beautiful gift wrap kit and enclosure card from our friends at Creative Packaging. A stunning yet affordable way to say thank you to the special teachers and instructors (or any women) in your life. They also make great attendant gifts for bridesmaids!"